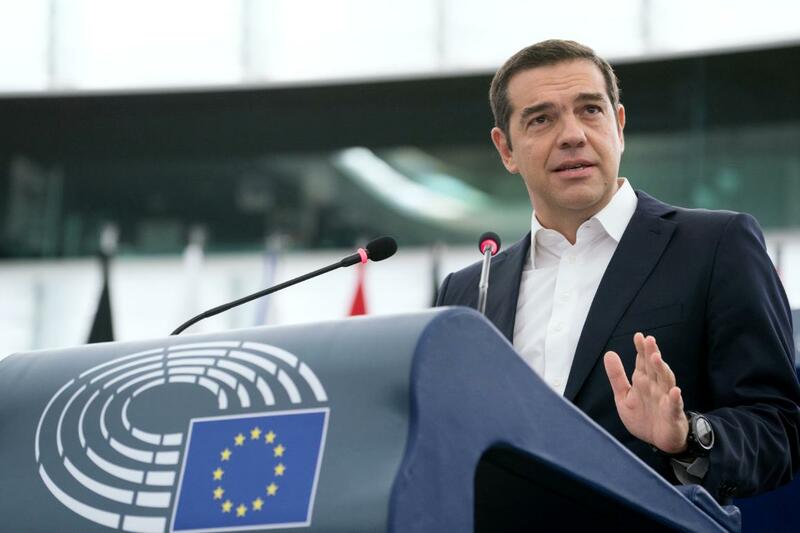 In a heated discussion, Greece’s Prime Minister Alexis Tsipras debated the future of Europe with MEPs and Commission Vice-President Dombrovskis on Tuesday. Prime Minister Tsipras outlined the Greek government’s efforts on social protection and the efforts which have led Greece out of the economic crisis, alluding to the symbolism of the debate coinciding with the end of 8 years of fiscal support programmes. Listing many of the problems that the country had faced, such as soaring public debt, a brain drain and the refugee crisis, Tsipras said that Greece had coped, returning to over 2% growth and combating tax evasion and corruption in public health and public investment. “Greece and the Greek people have proven over the last few years, just how deeply committed they are to the idea of European unity”, he stated. He warned that “the way the economic, refugee and security crisis has been handled to date has shown big gaps and contradictions, which could turn into a structural crisis for the European Union”. “The EU elections in May 2019 will be bigger than most election battles”, he said. “It will be a battle of values and principles. In this battle, all progressive, democratic and pro-EU forces have a duty to stand side by side. We should not let Europe slide back to the past”, he concluded. Many MEPs and Commission Vice-President Dombrovskis paid tribute to Mr Tsipras’ efforts to resolve the longstanding dispute with FYROM, saying the two prime ministers had set an example. They pointed to Greece’s vital role in the region in creating and maintaining stability. Some pointed out that the EU had contributed to Greece’s recovery. Others maintained that the suffering of the Greek people throughout the last eight years should not be forgotten.